A clean digital camera not only looks better, but it also will work better, giving you two great reasons for keeping your model in tip-top condition. There are several things you need to do to learn how to clean a camera. 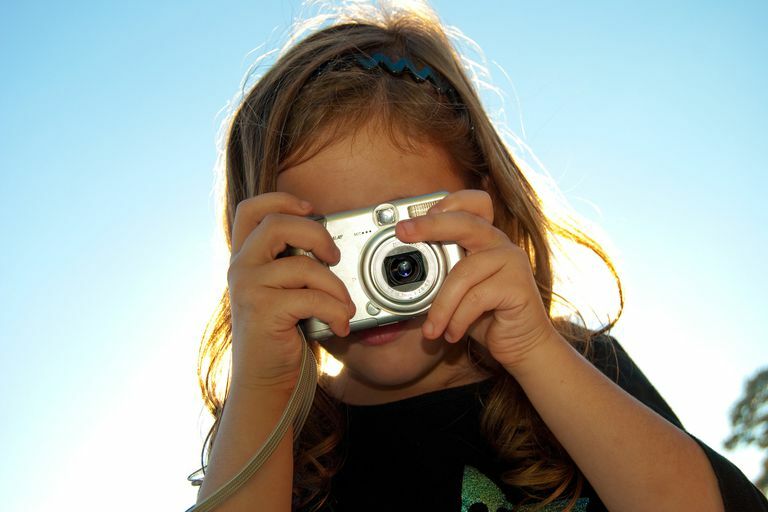 For example, by cleaning the digital camera lens, you'll ensure sharp photographs. By cleaning the LCD, you'll ensure that you can preview each photo in the best possible quality before deciding which shots to delete. Although it doesn't seem like it, you can troubleshoot some camera problems simply by learning how to clean the camera properly. The step-by-step instructions provided here are primarily aimed at point-and-shoot-type digital cameras. Those with a digital SLR-type camera may need to clean the image sensor occasionally, too. Continue reading to learn how to clean a camera. Keep in mind when looking at this list that you might not need every supply listed here to learn how to clean your camera's various components. The first item, a microfiber cloth, is the one you need above all others because of its ability to clean all parts of your point-and-shoot digital camera. Your camera store should be able to sell you an anti-static microfiber cloth, which should be free of all chemicals and oils, making it easier for you to clean your camera. Use a soft brush to clean the digital camera lens, removing loose particles. For this section discussing how to clean your camera, we'll assume you have plenty of time to clean the lens. Turn on the camera, if needed, to open the lens cover. Turn the camera so the lens faces the ground. Gently blow on the lens to free any stray particles. If you still notice particles on the edges of the lens, very gently dislodge them with a small, soft brush. Gently rub the lens with the microfiber cloth, moving in a circular motion. Start in the middle of the lens and work your way to the edges. If the microfiber cloth doesn't remove all of the grime or smudges, use a few drops of lens cleaning fluid or clean water. Place the drops onto the cloth, not onto the lens. Then repeat the circular motion of the cloth. First use the damp area of the cloth, and then repeat the motion with a dry area of the cloth. If you need to clean your camera lens away from home without your cleaning supplies handy, gently use a soft, clean cotton cloth. Turn the camera so the lens faces the ground. Gently blow on the lens to free any stray particles. If you continue to notice particles, blow with a little more force. Do not wipe the lens with a cloth or with your finger to dislodge any particles or grit, or you could scratch the lens. With the lens free of grit, find the softest and cleanest cotton cloth that's available, such as an all-cotton handkerchief, or a clean, cloth baby diaper. Be certain the cloth is free of chemicals, oils, and perfumes. Wipe the lens very gently in a circular motion. If the cloth alone doesn't clean the lens, you may add a few drops of clean water to the cloth before gently wiping the lens again. After using the damp area of the cloth, use the dry area again. If no soft, clean cloth is available, you could use a facial tissue, but this should be a last resort. Be absolutely certain the facial tissue is free of oils and lotions, or you'll smudge your lens far worse than it was before you started. Avoid the facial tissue unless you have no other choice, and you cannot wait until later to clean the lens. Use a few drops of water with the tissue. Use a microfiber cloth or an anti-static, alcohol-free electronic cleaning wipe to clean the digital camera's LCD. As you're continuing to learn how to clean your camera, it's important to clean the LCD screen too. Turn off the camera. It's easier to see smudges and dust against the black background of a powered-down LCD. Use a small, soft brush to remove dust from the LCD. If no brush is available, you can blow gently on the screen, although this method doesn't work well on a large LCD. Use your dry microfiber cloth to gently clean the LCD. Move the cloth back and forth horizontally along the screen. If the dry cloth isn't working to remove all of the smudges, you can slightly dampen the cloth with a drop or two of clean water before wiping the LCD screen again. Better yet, if you have an LCD TV at home, you can use the same damp, anti-static, alcohol-free electronic cleaning wipes on your digital camera LCD that you use on the TV. As with the lens, avoid rough cloth or paper products, including paper towels, facial tissues, and napkins, for cleaning the LCD. When cleaning the camera body, pay particular attention to the viewfinder and built-in flash. As you're learning how to clean the camera body, use the following steps. If you've been shooting outdoors, where wind may have blown sand or dirt onto the camera, first use a small brush to sweep away any grit or tiny particles. Pay close attention to the seam where the digital camera body comes together, the camera's connectors, the battery and memory card doors, and the areas where the camera's dials and buttons extend from the body. Grit in these areas could cause problems down the road by entering the camera body's interior and damaging components. Next, clean the viewfinder and the front of the built-in flash, if your digital camera contains those items. Use the same method you used with the glass on the front of the lens. First use a dry microfiber cloth, and only dampen the cloth if necessary for a stubborn smudge. Finally, clean the body with a dry cloth. You can use a microfiber cloth, but it might be better to save the microfiber cloth for only the lens, viewfinder, and LCD. Use care when using the cloth around the camera's buttons, dials, and connectors. If the camera's zoom lens extends from the camera body, turn the camera on and gently clean the external housing for the zoom lens. If the dry cloth won't work on a particularly dirty area of the camera body, you can dampen the cloth slightly. You can use a little more force when cleaning the camera body versus cleaning the delicate lens or LCD. For the final steps when learning how to clean your camera, try these tips! Never touch the lens with your skin, because your fingers could leave difficult-to-remove oils on the lens. Try to avoid touching the LCD for the same reason, although, depending on the size of your camera, this can be difficult to avoid. Some photography stores sell lens-cleaning pens, which remove grime and fingerprints from the lens and LCDs. Some cleaning pens have a soft brush on one end of the pen, too, making it a handy tool to carry when using your camera away from home. A lens-cleaning pen is a much better option than a t-shirt or a facial tissue for cleaning away from home. Check your camera manufacturer's website or user guide for specific instructions and tips for cleaning the camera body, lens, and LCD on your brand and model of digital camera. Finally, some lens and LCD problems will require professional cleaning from a repair store, and you won't be able to clean your camera yourself. Be sure to obtain a quote for the cleaning ahead of time. Depending on the age of your point-and-shoot digital camera, a professional cleaning might be too expensive to justify it on an older camera model.